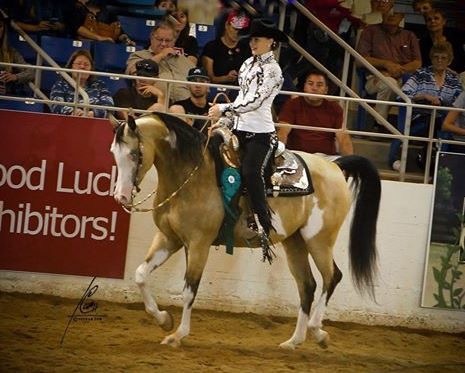 By National Champion, Khontroversy PGA+//, and out of a beautiful daughter of National Champion producer Lucky Sol Moon, this three year old is supple and extremely athletic. This stunningly beautiful mare has everything you could ever want. Both Sire and dam, National Champions in the western division, this mare is breed till the hills. Shown lightly and already producing, this mare is back in foal for 2015 to the great western horse Alerro! She will make an excellent addition to any great breeding program. 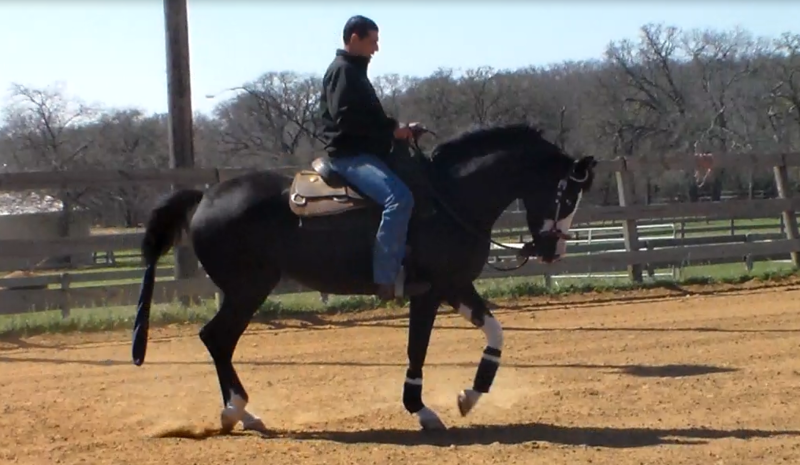 This beautiful black mare has all the quality to take you to the top! Still with a year of eligibility in JR Horse and Maturity, you dont want to miss out on this one. 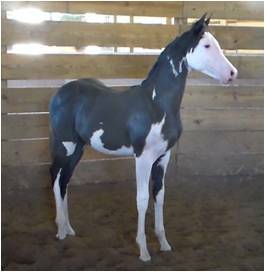 This stunning, uniquely colored mare is sure to get you noticed in the ring. 2015 Scottsdale Top Ten Half Arabian Western Pleasure 19-39. With a great attitude and willingness to work, this safe, quiet mare would make an excellent horse for any level or rider, from an older amateur, all the way down to walk trot! Excellent temperament and confirmation, you do not want to miss out on this great mare.